Luxury end unit at Briarwood Commons in the heart of downtown Golden. 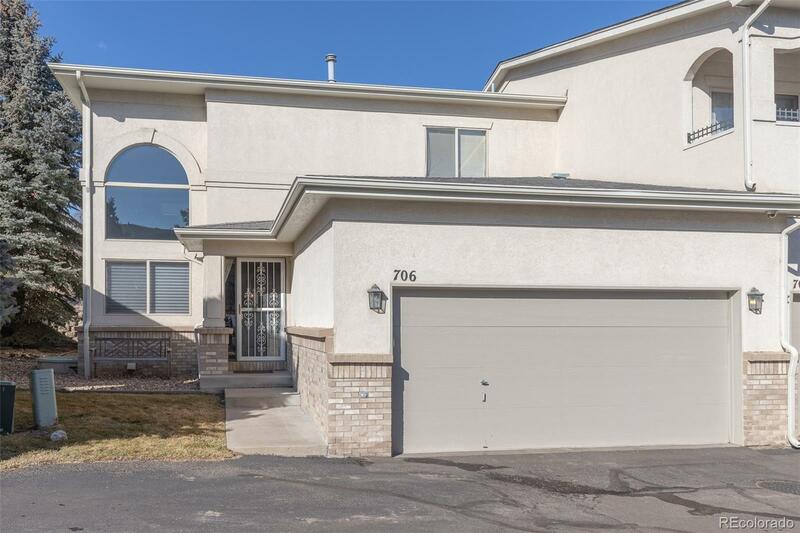 Spacious open floor plan featuring hardwood floors, vaulted ceilings on main level, granite, Sub-Zero refrigerator and freezer. Private main level master suite. Upstairs features 2 additional bedrooms, bathroom, and a loft. Relax on the private patio. Newer furnace, water heater, and AC. Unfinished basement with 9"ft ceilings awaits your personal touch. Walk to Downtown Golden and enjoy the trails, hiking, and biking in the area. Easy commute to Boulder, Denver, and the Mountains. Enjoy maintenance free living. Welcome Home!